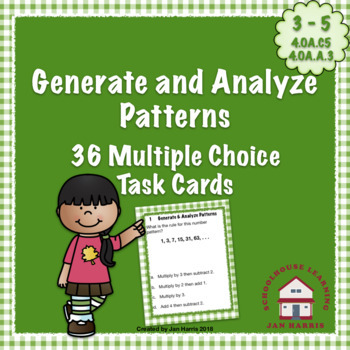 This set of 36 multiple choice task cards will help reinforce the important skills of generating and analyzing patterns. 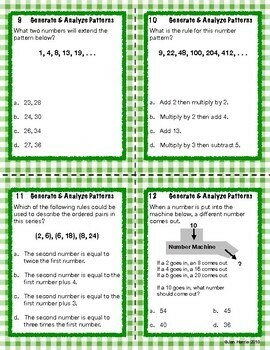 Learning about patterns provides students with an understanding of mathematical relationships, which is a basis for understanding algebra, analyzing data, and solving complex mathematical problems. Researchers have found that understanding and being able to identify recurring patterns allow us to make educated guesses, assumptions, and hypothesis; it helps us develop the important skills of critical thinking and logic. 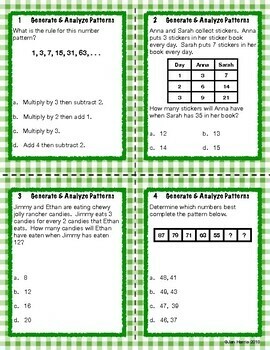 This set of task cards are aligned to the common core standards and cover: repeating patterns, number sequences, extending patterns, finding rules for situations, geometric patterns, and most importantly, problem solving. 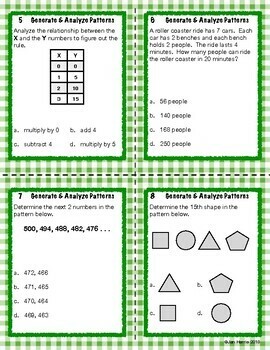 Answer key and student recording sheet are included. Fractions On A Number Line - Where is Mr. Penguin Sitting?